Trampolines have become popular again and today trampoline parks can be found in most major cities around the world. It’s easy to see why people are jumping up and down with excitement. 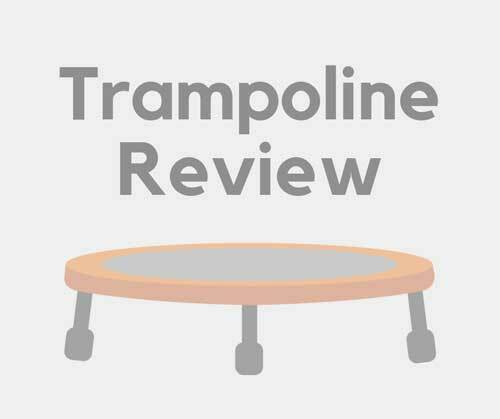 Trampolines aren’t only loads of fun, they’re also a great workout for everyone from aged three, all the way to 103. As far as fitness goes, the Centers for Disease Control and Prevention categorize trampolining as a moderate level of exercise, which means it’s in the same group as gymnastics, light yoga, and calisthenics. What are trampoline socks? And why should you wear them? StopSocks Trampoline Socks are ideal for yoga, parkour, athletics and of course for trampolining. They’re available in various color combinations and come in small, medium and large. The socks have a non-skid, rubber sole that reduces the risk of falling and slipping, and they give you a firm grip on any kind of surface. Click here to buy these socks now. Deluxe Anti Slip Non-Skid socks give you a good grip on any surface, making them the perfect choice for yoga, gymnastics, parkour, trampolining or even if you’re just walking around the house. The socks have good ventilation and are quick-drying, which means you don’t have worry about damp feet. They’re available in medium, large and x-large sizes. Rymora Non-Slip Anti Skid Grip Socks can be used for pilates, yoga, martial arts, dancing, trampolining or for around the house. The soles are cushioned for extra comfort and the non-slip anti-skid grip ensures you’re safe on all surfaces. They have ventilation bands that keep your feet cool and there are no toe seams, for added comfort. And there you have it. Our top trampoline sock choices. Ready, steady, bounce!